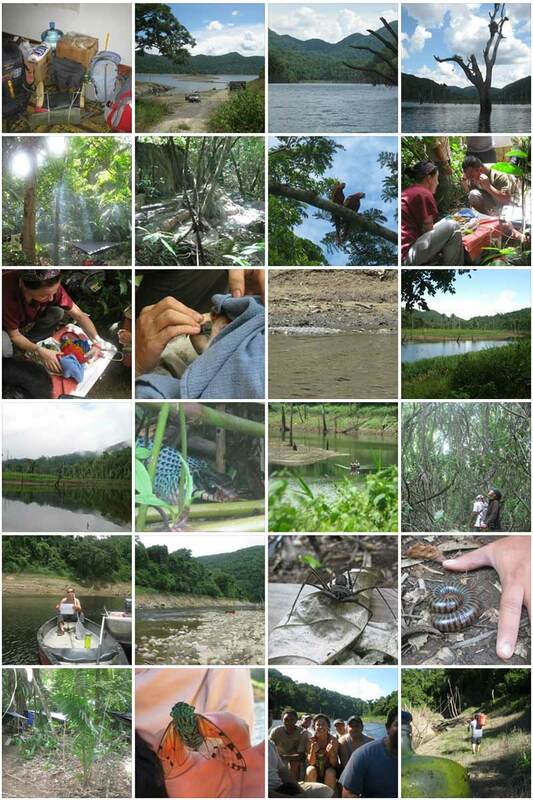 Eco Camino is proud to say that it was a nice opportunity to volunteer with S6 -Scarlet Six, during two consecutive weeks in the Chiquibul Forest Reserve. 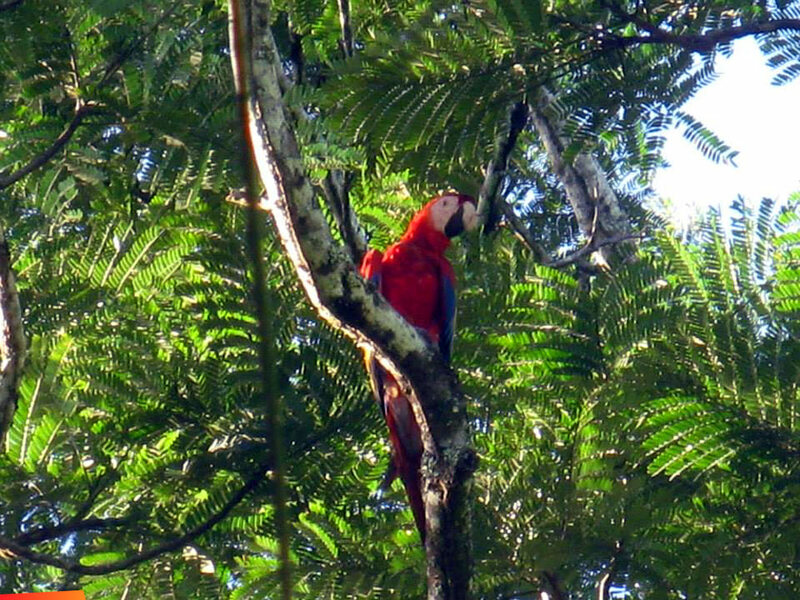 I had never seen Scarlet Macaws in the wild and the most amazing thing was, first to see 16 of them all at once, second to see them flying over my head while bathing in the Raspaculo River, a branch of the Macal River. 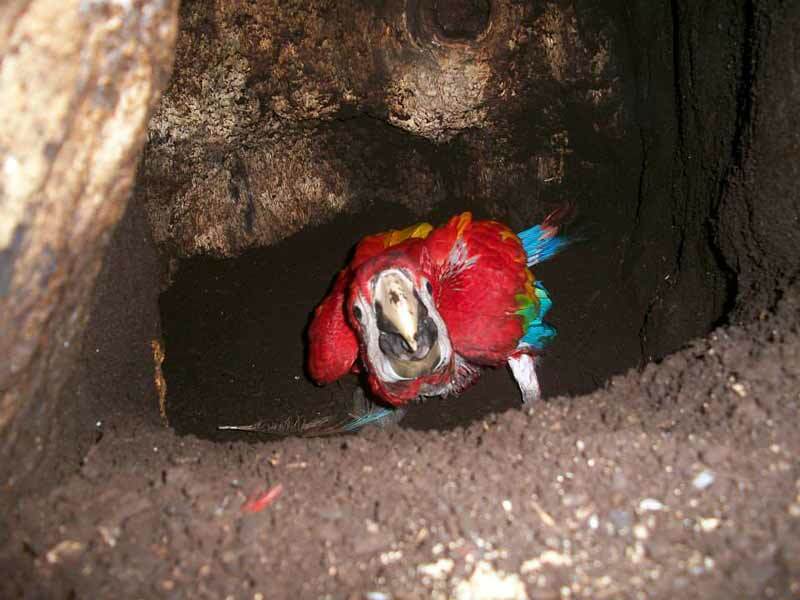 The Macaws generally come in the Chiquibul during the breathing season which extends from April to September. The rest of the year, they migrate to Red Bank, in the Stann Creek district from early January to March. The reason of this migration is to feed on the clay where they can extract minerals from it. This will further help with the development of calcium for their eggs. It usually takes 12 to 13 weeks before a chick can fledge from its nest -the nest being a cavity in a Quam trees. These trees can grow as tall as 130 feet high. Nonetheless, the focus of this trip was to help preserve the population of Scarlet Macaws. Back in 2012, the eggs and the chicks of the Macaws were poached in a large quantity; 90 to 98% of them, to say the least. It all started in 2010 when Mr.Roni Martinez initiated the researching phase with the help, amongst others, of Mr.Luis Mai, both from the beautiful San Antonio village. Their program has definitely been a success, since now in 2015, they estimate no more than 15% of them being poached. Small changes have a lot of impact on wildlife. Hence, we can barely imagine when the 3 dams were built (Mojellon, Vaca & Chalillo), how it affected this environment and the surroundings, especially with the construction of the Chalillo dam. I would like to stress the importance on volunteering for the preservation of the Scarlet Macaws with FCD (Friends for Conservation and Development) and S6. 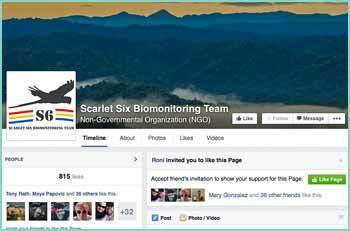 Thumbs up Scarlet Six! !